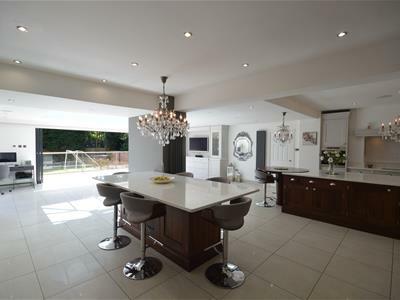 A STUNNING RESIDENCE OF OVER 5700sqft - ARGUABLY APPLETON'S MOST PRESTIGIOUS ROAD - EXTENSIVE OPEN PLAN KITCHEN / DINING ROOM - FIVE FURTHER RECEPTIONS - MASTER SUITE WITH DRESSING ROOM AND EN-SUITE BATHROOM - FIVE BEDROOMS PLUS ANNEX - OCCUPYING A PLOT CIRCA 0.5acre. This fantastic redesigned Trevor Gallop home offers spacious accommodation with flexibility throughout. Internally the property benefits from a covered porch, reception hall, study, dining room, lounge, store room, entertaining suite, family room, dining kitchen, utility room and wc. First floor a master suite with dressing room and en-suite bathroom, five further bedrooms with en-suite and a family bathroom. 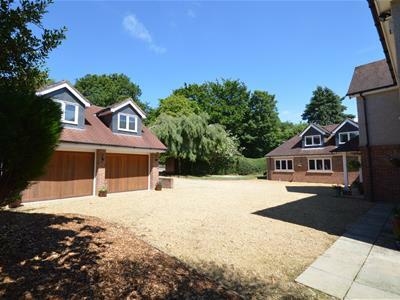 Externally there is a large graveled driveway with electric gated access, mature gardens to front and rear, detached double garage with annex to the first floor. 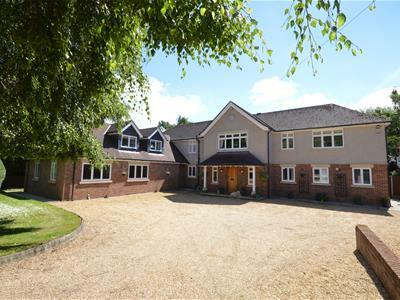 A superbly appointed and stunning detached residence offering 5700sqft of space on one of Appleton's most sought after roads. With extensive living accommodation which has been redesigned by Trevor Gallop and offers an abundance of flexibility to suit the prospective purchasers individual needs. 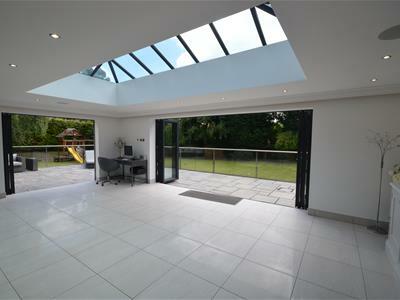 The property benefits from both space and beautifully presented accommodation throughout. To the ground floor there is a covered porch, lovely welcoming reception hallway, study, a wonderful open plan kitchen/dining room which has been stylishly finished with a range of matching stylish eye and base level units with contrasting finish which is complimented with integrated appliances, two central islands, utility room, delightful lounge with a central fireplace and windows overlooking the garden with access into a splendid games room. There is also a cloakroom with a two piece suite for convenience purposes. 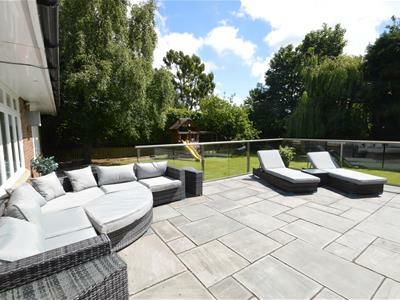 To the first floor there is a fantastic master suite complete with a private rear balcony enjoying views over the garden, a dressing room with a range of fitted furniture and a luxurious en-suite bathroom. 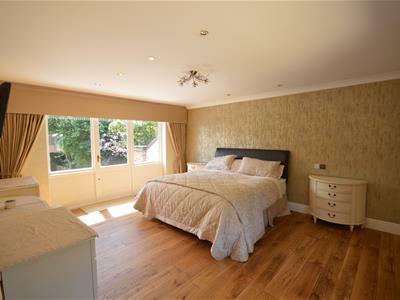 A second bedroom also benefits from an en-suite facility, and there are a further four good sized bedrooms and a main bathroom again offering a modern white three piece suite. 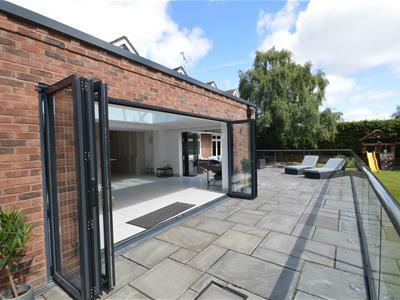 Furthermore there is an addition annexe located over the garage which is a superb space. 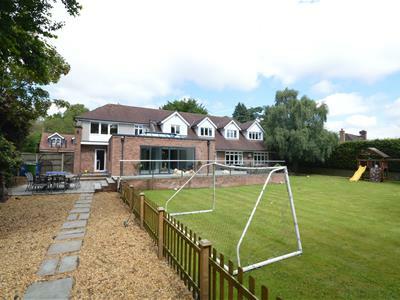 Private gated access into the driveway, mature gardens to the front, side, rear and private patio. This beautifully presented accommodation is warmed by central heating which is complimented with double glazing. An internal inspection is highly recommended at the earliest opportunity. From the centre of Stockton Heath take the A49 south. Continue for approximately one mile and at the traffic lights turn right into Quarry Lane which runs into Windmill Lane. Firs Lane will be found at the top of the hill on the left hand side. The Orchard is located to the left hand side of the road. Staircase to the first floor, tiled flooring, two double glazed windows to the front elevation., ceiling coving, central heating radiator, wall light points. This handmade bespoke Alex Fitzpatrick kitchen a Tom Howley inspired design, is extensively fitted with a range of matching eye and base level units, soft closing drawers, Induction hob set in oven with hood, down lights, two Miele ovens, microwave oven, two Miele dishwashers, single sink with chrome taps, set in light marble tops with matching tiled splash back, large central island with walnut drawers and base level units, circular walnut breakfast bar, floor to ceiling walnut pantry cupboards with shelves and drawer space, triple opening fridge and freezer and kitchen sink, censor lights, second island with walnut base and eye level units and marble tops, Porcelanosa tiled flooring with under floor heating, spotlights, sound system, speakers into the ceiling, access to the dining room. Two sets of bi folding doors, spotlights with sound system to the ceiling, ,matching dressing unit with drawers and base and glazed wall units, television point and under floor heating. Tiled flooring, glazed rear door, central heating radiator, access to the utility room and Wc, two wall mounted Valiant boilers. Two piece suite comprising of a low level Wc, corner pedestal wash hand basin with chrome mixer taps, fully tiled flooring and walls, wall mounted mirror, double glazed frosted window to the side elevation, ladder style central heating radiator. A range of base and eye level units, stainless steel single sink drainer unit set in heat resistant roll edge work surfaces, Amtico flooring, double glazed windows to the front and side elevations, plumbing for a washing machine and dryer, Megaflo system and a central heating radiator. 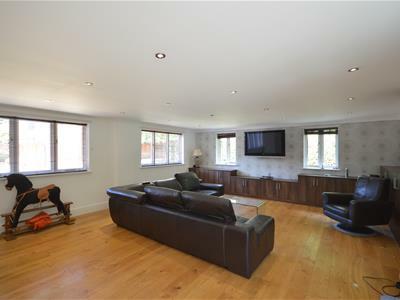 Solid oak flooring, access to the lounge, double glazed windows overlooking the garden, central heating radiator, two wall light points and ceiling coving. 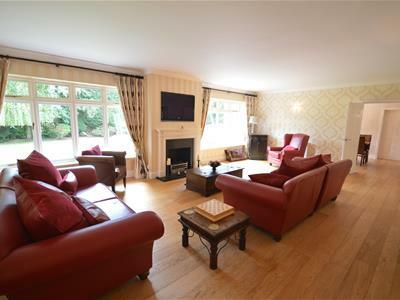 Central fireplace with an open cast iron fireplace, back and stone surround, oak flooring, four wall light points, two double central heating radiators, two double glazed windows overlooking the garden, television point, access to the study and games room. Double glazed window to the front elevation, office free standing furniture with walk in storage room, central heating radiator, telephone point and ceiling coving. 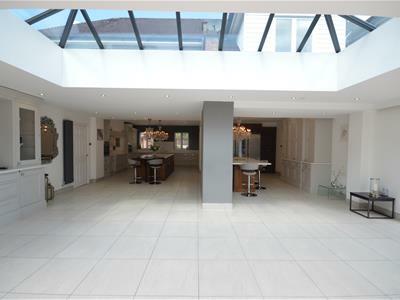 Located off the lounge with oak flooring and spotlights. Double glazed frosted window to the side, oak flooring. 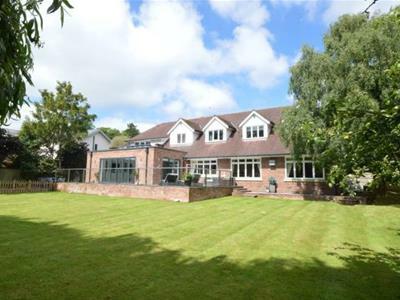 Built in walnut floor to ceiling storage units, desk and shelving, four double glazed windows to the front and side elevations, French doors to the rear elevation, further range of base level units, television point, spotlights, under floor heating, staircase to the first floor. 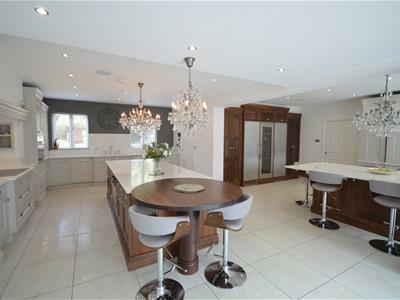 Oak flooring, ceiling coving, double glazed window to the front elevation, double central heating radiator, four wall light points. 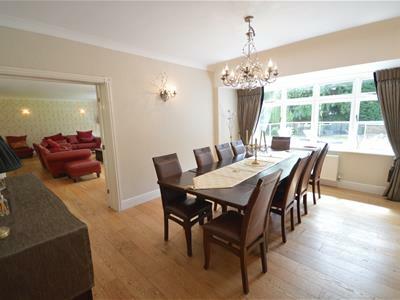 Ceiling coving, oak flooring, two central heating radiators, double glazed windows and door to the private rear balcony, wall light, television point, spotlights, ceiling coving, balcony with views over the garden. Tiled enclosed bath with central tap, double low profile shower cubicle with large shower head and additional shower attachment, twin sink with mixer taps, wall mounted mirrors with light over, cabinet and shelving, low level Wc, extractor fan, fully tiled walls and flooring, spotlights, tall ladder style central heating radiator, double glazed window overlooking the garden and built in storage cupboard. Full height wardrobes including four double and one single, matching bed side tables, desk and drawers, laminate flooring, double central heating radiator, two double glazed windows to the side, rear elevations, television point and access to the en-suite. A white suite including a low profile walk in shower with screen, rain head shower and additional shower attachment, wall mounted Wc, Vanity unit with oak sink, chrome mixer tap, Limestone tiled walls and flooring, wall mounted mirror cabinet with mirrored doors, double glazed frosted window to the side elevation, spotlights and extractor fan. Built in double wardrobes with mirrored sliding doors, laminate flooring, double glazed window overlooking the garden, central heating radiator and a television point. 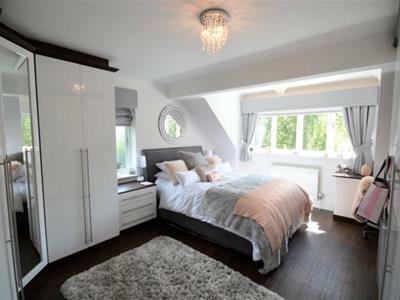 Built in double wardrobe with mirrored sliding doors, laminate flooring, double glazed window overlooking the garden, central heating radiator and television point. 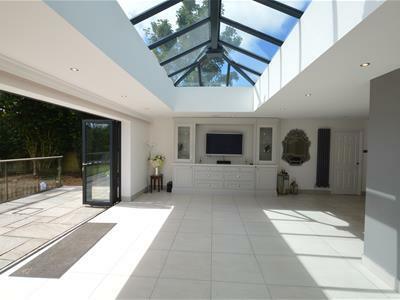 Oak flooring, double glazed window to the side elevation, double opening velux window to the front elevation, spotlights, central heating radiator, television point, storage eaves cupboard. 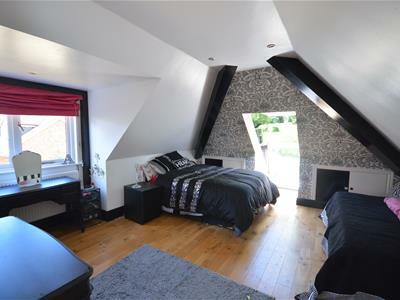 Double glazed window overlooking the courtyard, oak flooring, central heating radiator, built in wardrobes with eaves storage and spotlights. 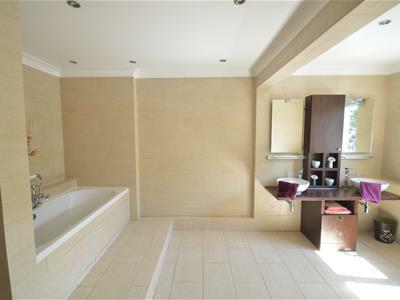 Comprising a three piece suite including a tiled enclosed bath with shower over, pedestal wash hand basin, low level Wc, tiled flooring, part tiled walls, double glazed frosted window to the front elevation, central heating radiator and spotlights. 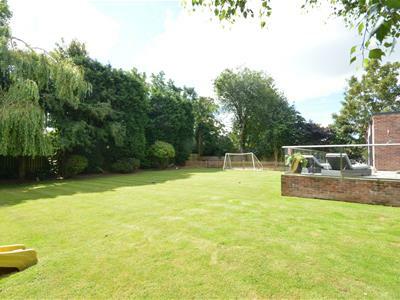 Set in fabulous extensive grounds which are beautifully maintained there is an impressive electric gated entrance opening to the front with a gravelled driveway offering off the road parking and mature hedges and borders. To the rear elevation there is a raised stone patio with glazed edging, a large southerly facing laid to lawn garden, low level hedging and an additional garden to the side area. Electric up and over doors, part tiled flooring, courtesy door access to the side with stairs up to the first floor. Velux window, double glazed window to the rear, television point, spotlight, access to Wc and Vanity wash hand basin, Velux window, tiled flooring ad walls and spotlights.